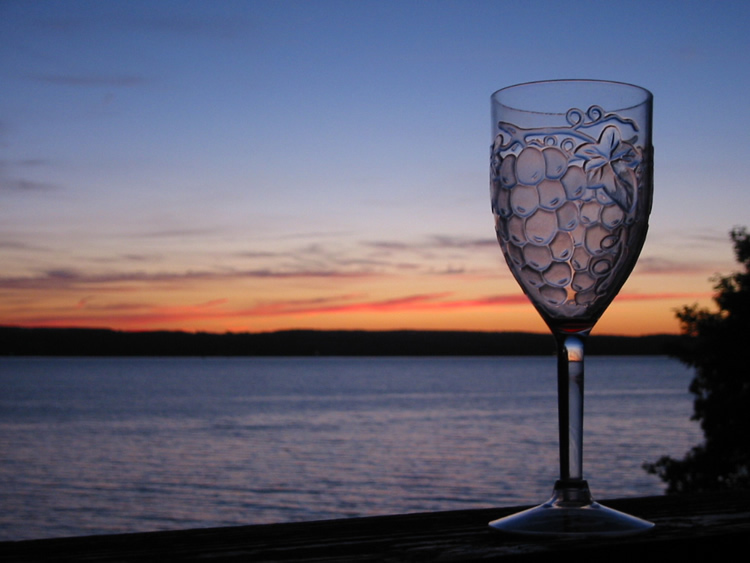 We've noticed that many of our guests have a bit of fun trying to duplicate our wine glass in the sunset photo from our website. Kathy took the picture several years ago and it had a great feel, probably because it combined our love of Finger Lakes wine, with our love of Finger Lakes sunsets. In our eyes, its a winning combination (not so bad on our taste buds either). 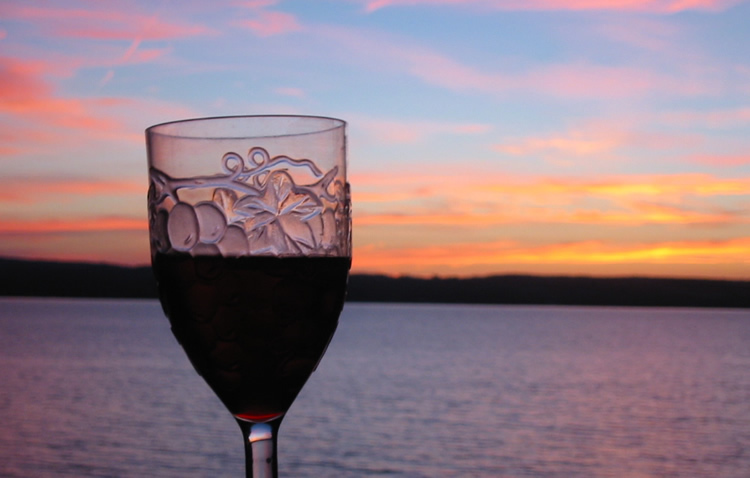 To further encourage fun, wine, and sunsets, we've come up with a yearly contest which is open to all our guests. 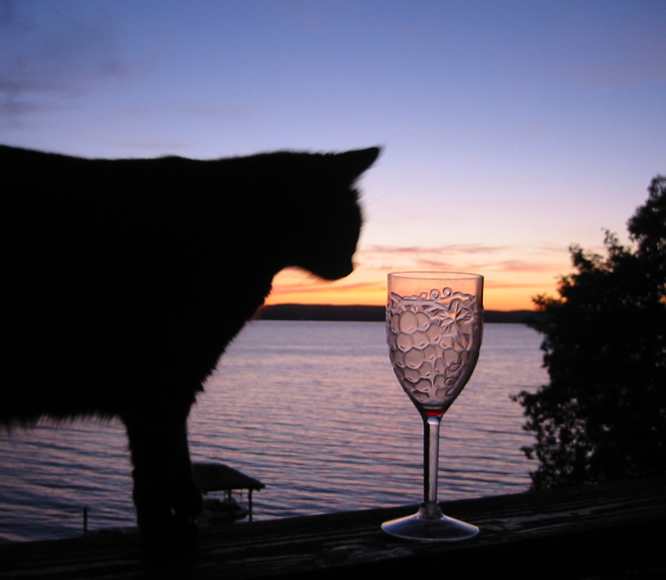 We'll accept entries up until we close for the winter in December. 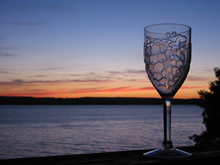 The winning photo and caption will receive a free bottle of wine of your choice from a Lodi winery (up to $20 in value). 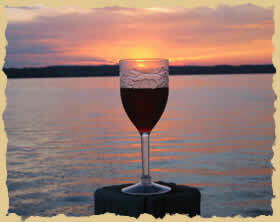 Entries are only accepted from past, present, or future guests with a reservation. 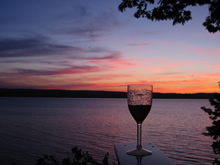 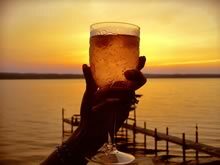 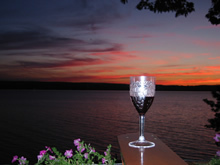 All entries must include a caption that tells what favorite Finger Lakes wine should be in the glass, where in the world the sunset is, and who submitted the image. 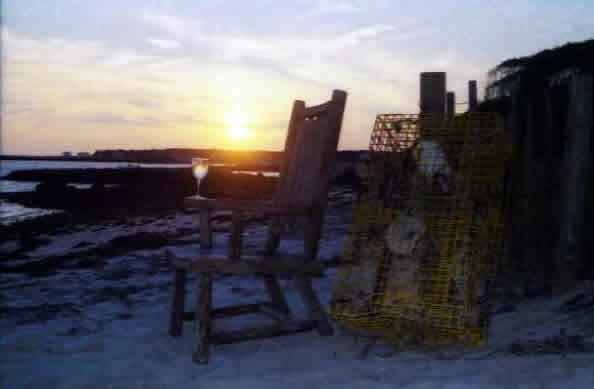 Image must be sent either digitally or as a printed photo. Please send us your entry. All pictures remain the property of the original photographer and may not be used without permission from them.